Many Australians are now switching to SMSFs as it’s a way to utilise your largest untapped asset: your super balance. 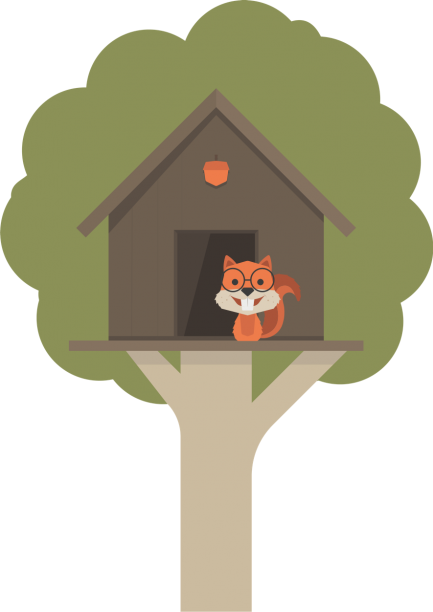 With a Squirrel SMSF and loan, you can get your feet on the property ladder and work towards your retirement goals. Download the application form and find out if you’ll get indicative approval for your SMSF loan. Have a question? Visit our FAQs here. We are now accepting SMSF loan applications in order to give indicative approval on the amount your SMSF could borrow for your property purchase. To be first in line for our SMSF loans, with exclusive rates for Squirrel clients, download your application form today. Based on interested rate of 5.42% (comparison rate 5.47%) over 30 years borrowing $300,000. All inclusive loan setup fee. For company applicants only. *Squirrel SMSF clients only. 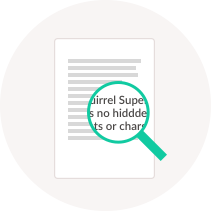 Non-Squirrel SMSF Clients: 6.42% variable rate, 6.51% comparison rate- up to 65% LVR . **Terms and conditions apply. Up to 75% LVR dependent on property and location. Metro & Non-metro 75%. Inner city - 70%, Regional 60%. ***Loan setup fee of $1,548.08 includes application fee, valuation fee and legal loan documents fees. Non-Squirrel clients: $2775.00 + GST loan setup fee. Clear credit history required. 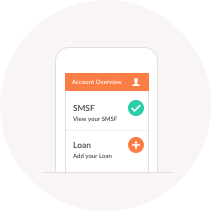 Purchase or refinance of an exisiting SMSF loan. Repayment frequency: weekly, fortnightly and monthly repayments. Payments can be automatically debited from the offset account. SMSF investment loans require a minimum 25% deposit. Voluntary repayments: extra repayments can be made at any time without penalty. Transaction fees: Free unlimited transactions; internet banking, BPay, Direct Debit. Discharge fee $535 plus third party costs. Cash out not available on SMSF loans. These figures are representative of what your loan could look like. They are not intended to be used as a quote. Monthly repayment based on a 30yr $300,000 loan paying P&I. These figures are representative of what your loan could look like. They are not intended to be used as a quote. Terms and conditions apply. For company applicants only. Up to 75% LVR dependent on property and location. Metro & Non-metro 75%. Inner city – 70%, Regional 60%. *Loan setup fee of $1,548.08 + GST/$2775.00 + GST includes application fee, valuation fee and legal loan documents fees. Clear credit history required. We are an SMSF loan expert helping you from setup to settlement and can provide guidance on the ATO rules and regulations around your property purchase. We believe in offering exactly what it says on the tin. That’s why there are no hidden costs or charges with any of our loans. By having your SMSF and loan all in the same place, there’s less paperwork, less hassle and a smooth process for you to purchase the investment property you want. Why borrow for your SMSF? Since 2007 superannuation laws have allowed an SMSF to borrow money in order to purchase an investment asset, as long as a strict set of rules are followed. Under the superannuation borrowing rules, an SMSF can borrow money to buy any type of asset permitted by the superannuation law such as property. Like a traditional investment property, the SMSF can borrow some of the funds needed to purchase a property. This allows borrowers to use their superannuation in a much more efficient manner than purchasing the property outright. 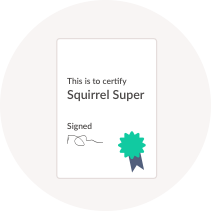 Squirrel will loan a maximum of 80% of the value of the property. By borrowing, an SMSF fund increases its ability to buy property which in turn can provide higher levels of overall growth and income. All payments to the property (including Loan repayments, water rates, management fees and council rates) must be paid from the SMSF and hence can be offset against rental income from the property. Do not put a deposit on a property in your name, and expect it can be transferred across to the SMSF. Try to find a property you can rent. A lot of properties will need both income streams (your super and the rent) to service the loan. If you have a loan over the property, the law restricts what you can do with the property. You cannot modestly improve it, conduct a business out of it or rent it to your mother-in-law for subsidized rent. Everything must be “arms-length”! Your loan balance is the maximum you can borrow against the property. Let’s say you borrowed $250,000 to buy a $350,000 property 5 years ago. You’ve lucked out, and the property is now worth $500,000, and the debt on it is now $200,000. The law will only allow a lender who is re-financing, to give you $200,000. Redraw is not permitted under the law. Any additional repayments will reduce the debt. If you have an extraordinary circumstance, like a large strata payment, some lenders may advance you the funds. The loan and the property will be legally held in a separate trust from your other SMSF assets. Squirrel will set this up for you, quickly and easily (and at no additional cost!) – show us a pre-approval from the lender and we’ll take care of the rest! The loan will be limited recourse to the property it is secured against – however you, and each of the other members of your SMSF, will be required to sign personal guarantees to cover the lender against losses. What this means is – all SMSF members are responsible for there being enough money in the SMSF bank account. If your tenant leaves, if your boss doesn’t pay your super on time, you may need to deposit money from your own savings into the account to cover any potential shortfall. SMSF loans are generally under a Limited Recourse Borrowing Arrangement (LRBA), which are used to buy both residential and non-residential properties by the SMSF. 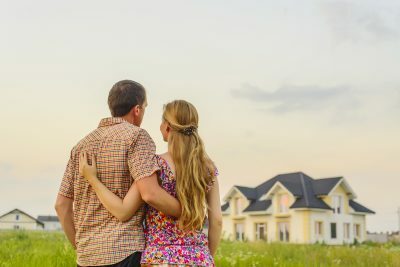 Buying property with an SMSF has been growing in popularity over the last decade, with the most recent ATO Quarterly SMSF Statistics indicating that limited recourse borrowing arrangements have grown by 93%, from $1.4 billion in June 2011 to more than $21.8 billion by June 2016. The reason SMSF loans are described as a “limited recourse’ is because if the loan defaults, the lender is limited to seeking compensation via the specific asset bought with the loan. This means there is no recourse to the other assets held in the SMSF or the trustees themselves. As SMSF specialist, Squirrel have the expertise and experience to set up your SMSF and loan in a timely and compliant manner. As we do not offer normal home loans, all of our speciality and attention centres around SMSF loans for our SMSF clients.